I recently made a trip to the Tucson Botanical Gardens and was surprised by their collection of plants. The bulk of the exhibits were desert themes as one would expect, being in a desert and all. There were a lot of interesting cacti and trees but I was there for the butterfly exhibit, not cacti. 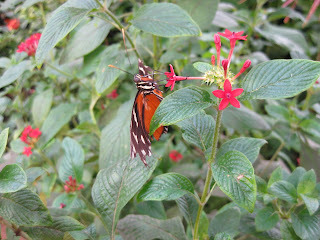 The gardens import butterflies from around the world, and let them loose in a large tropical greenhouse. Admittedly I was more impressed with the tropical flora than the butterflies, but regardless it was an amazing experience. This is one of the more impressive pictures. The plants growing on this tree are considered Epiphytes, meaning they grow in the air (Air Plants). 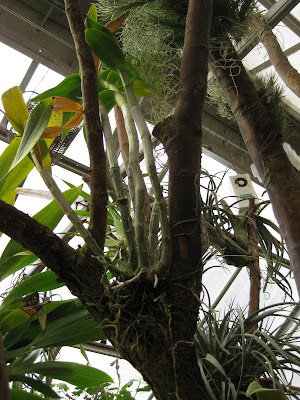 In the center is a large Orchid, while elsewhere on the tree small Bromeliads can be seen. 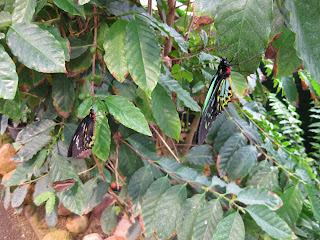 Here two butterflies are resting on a Coffee Tree. 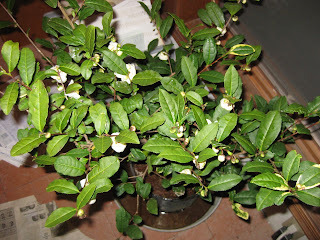 This was a very neat find in the greenhouse, I even spotted some fruits on it.